And why hiring an attorney after a suffering a traumatic brain injury is one of the most important things you can do following an accident. What we know about the brain—both how it functions, as well as how it recovers following a trauma—has evolved over the years. Now two new studies have provided even more insight into the long-term effects of a TBI. While one of the studies reveals how traumatic brain injuries affect the children who suffer them in accidents, the other sheds light on how TBIs impact the ability to re-enter the workforce. The conclusions of both studies reiterate what the traumatic brain injury attorneys here at Edgar Snyder & Associates have long known: Contacting a lawyer is one of the most important steps you can take after suffering a TBI (more on that in just a bit). Watching your child suffer a traumatic brain injury can be heartwrenching—and the question so many parents ask is, "How will this injury affect my child in the future." Fortunately, a new study conducted by the Cincinnati Children's Hospital Medical Center helps answer that question. Unfortunately, the results reiterate that traumatic brain injuries can have a lasting impact. Children who suffer mild to moderate brain injuries are two times as likely to develop attention problems. Children with severe brain trauma are five times more likely to develop secondary Attention Deficit Hyperactivity Disorder. While researchers are still working to determine whether genes and hereditary play a role in how the brain recovers from a traumatic injury, the study revealed that a child's family environment can make an impact. According to researchers, children who suffered severe brain injuries but who lived in healthy, stable homes had fewer long-term effects than those who suffered mild to moderate brain injuries but who lived in chaotic home environments. What are the brain functions most impacted? Skills that involve social interaction—reasoning, inhibition, and the speed with which information is processed—are most affected in the long run. Another recent study—this one done on behalf of the National Institutes of Health (NIH)—reveals that people who suffer from traumatic brain injuries experience higher unemployment rates, as well as greater work limitations and productivity loss in the long-term. The symptoms present in TBI suffers in the month after an accident can be indicators of potential long-term impacts. Patients who reported that they had difficulty thinking in the month after suffering a brain trauma "significantly" predicted work productivity loss four years later. No matter if the TBI happened at work, or because of a car, motorcycle or other accident, hiring an experienced injury attorney is one of the most important steps you can take. Call Edgar Snyder & Associates today for a free case review. We'll answer all your legal questions, and handle every aspect of your case—including insurance adjusters who may try to force you into accepting a low-ball offer. 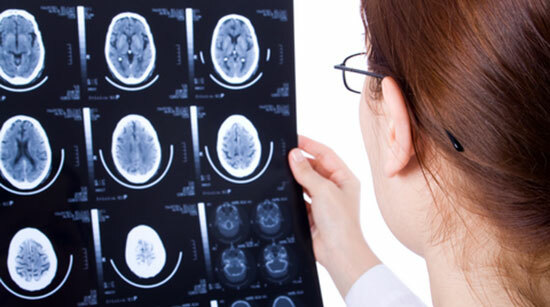 Our experienced attorneys understand that the impacts of a traumatic brain injury can last for years. We'll fight to get you the compensation you deserve for your injuries—money for your medical bills, time off work, and pain and suffering. Contact us today at 1-866-943-3427. We're available 24/7, there's never an obligation to use our services, and there's never a fee unless we get money for you.